This week, we’ll meet someone that is well known in Endurance and GT world. Finnish by birth, but Belgian by adoption, Markus Palttala is a smart and funny guy. « Let’s be serious » questions. First of all, how do you feel before your « home race » at Spa? I feel excellent, because I know that Marc VDS is 100% focused and prepared to the smallest detail ahead of our home race and the main event of the BES championship. Spa is a great circuit and 24h there is a great event. And we really want to do well in front of the home crowd. Competition will be tougher than ever, but we have been competitive in all the races so far this season. We are ready and we are hungry. How do you feel inside Marc VDS Racing Team? It feels like home to me. Marc is a very special person and in addition to wanting to win races, he also wants everyone to feel good in his team. Every team says they are like a family but with Marc VDS it really is so. I’ve been there now for 4 years and most people have been there for a long time. For this season, the team trusted me with a different role, « leading » the 2nd car, and I’m truly enjoying this challenge. The relationship with my teammates, Henri and Nicky, is really good – we have fun while pushing hard and we work as a unit, not as individual drivers trying to get along. I feel a bit like a kid in a candy shop when I get to race for a great team with a good car and quick teammates. What are your expectations for the running season. First of all, personally, my job has been to help make the car #4 competitive, to have both of our Z4s scoring results. We have been quite unlucky and 5th in Silverstone is our best result so far but we’ve had the speed to finish on the podium in every single race, so in that respect it has been positive. We finished 2nd in BES in 2011 and 2012 so obviously the target of Marc VDS is to win the championship this year and even more important is to get on top in the 24 Hours of Spa. We should have won it last year without starter motor issues, so I hope we will have a better run this time! Who is the strongest competitor you’re looking to for the main race of Blancpain Endurance Series? There are many of them, it’s going to be a very competitive race and so many cars have the chance to win the race. Audi is always strong and I don’t think they’ve yet shown all their cards ahead of Spa. Mercedes have been really quick this year, there are some very strong Porsches and I have the highest respect for their factory drivers, Ferrari is leading the championship, Nissan and Aston Martin are probably the two quickest cars at the moment, McLaren and Lamborghini are very fast and so on and so on..! What do you think about the Balance Of Performance system, how would you improve it to get better balance overall, whatever the tracks and weather conditions? Well, it is simply impossible to get all these different cars completely balanced for all tracks and conditions. However, I think that the BoP could be improved in many ways. First, I don’t like when there are adjustments based on race results, especially in endurance racing where so many factors affect the results. Also, many car manufacturers are sandbagging in the first tests and first races to avoid penalties and I would punish this more severely so that everyone would show their real performance from the beginning, BoP would be calculated and then the best teams and drivers would win. Our team and BMW have decided from the beginning that we go flat out in every test and race hoping that the BoP system will be fair but unfortunately this is not the philosophy of everyone out there. Knowing that you’ve been racing in Belgium for a couple of years know, how would you explain that Belgian teams are that strong in GT racing? I think there is a good culture for GT racing in Belgium and of course two well known international circuits with big GT events, so it’s natural that the locals focus on GT racing. Since 2001, if you wanted to do the biggest race in this country, the 24h of Spa, you needed to run a GT car. 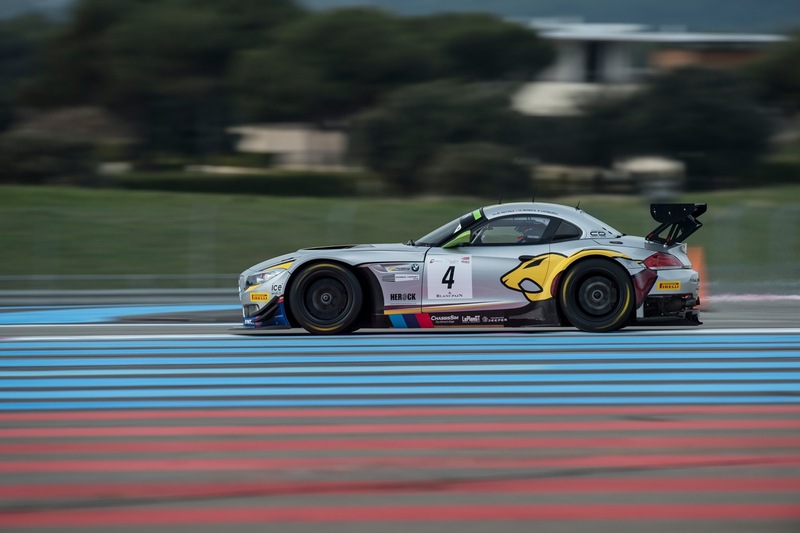 For example in Germany and the UK, the national GT series have boomed several years later and at the same time there have been popular single-seater and touring car championships attracting local teams and drivers. As a pro driver, how do you manage to share the track with AM driver or Gentlemen Driver? Do you talk a lot with them, give them tips, or not at all? I have spent more than half of my career sharing cars with gentleman drivers and I’m still coaching a few of them, so I know how they see and experience these situations. In the end, there’s room in GTs for both Pros and Ams. On track, it’s all about communicating between different drivers to avoid accidents. We don’t need the gentlemen to move away when we come, but we need them to show clearly what they plan to do. Same the other way around, we need to show them where we are planning to overtake and do it firmly but not too aggressively. Basically, it’s the same as in Le Mans and WEC where you have classes for different cars with different speeds. It all works fine when everyone stays focused and respects each other. Marc VDS Racing Team is one of the best GT racing teams. Would you follow them if they were going to another challenge, like WEC in GTE or LMP? Of course, if Marc VDS would decide to move up to WEC and ask me to drive a GTE or LMP car, I’d naturally be very happy to do it. I have always been loyal to my teams, because that’s the best way to build relationships and move forward. Marc VDS is one of the best teams out there, so there is no reason for me to need or want to change to another team. What do you prefer, sprint races as GT World Series or endurance races like BES and 24 hours races? Well, I have mostly done endurance races for more than 10 years and I think GTs are meant to do longer races, which is quite clearly proven by the success of BES after the failure of GT1. I feel the most at home in a 24-hour race, because I like the combination of pushing hard but at the same time playing the strategy and teamwork. Having said that, the few times I’ve gone back to sprint races, like visiting Porsche Cup races or the 1-hour GT1 races a couple of years ago, I enjoyed them very much. What would be your achievement as Racing Driver? First of all, I’m very grateful that I can do as a job the very thing I love doing most. I’ve been around for many years and enjoyed all of it. It’s still easy to stay motivated because there are so many things to reach for. In short-term, I’d really like to win big races such as 24h of Spa, Nürburgring and Le Mans. « Let’s be less serious » questions. Who are the funniest people, Belgian or Fins? Belgians are a funny bunch of people, very social and outgoing, but if you give the Finns a chance, which might take a very long time, they have a good sense of humour. I guess it depends which kind of humor you like! Would you prefer to drive with only one hand, or one eye? I hope I never have to experience either of these. I need to call Nicky to find out how it is to be with only one arm.. Which language is easier, Dutch or French? Well, I understand and speak a little French but can only say ‘dank u’ in Dutch, but I will never be fluent in French because I firmly believe that my mouth is not made for speaking it! At least I make people smile with my accent although they rarely understand what I try to say. What are your goals within 5 years? Same as today, winning races, getting quicker, doing my job well for the team. Which is your ever dreamcar? I grew up watching Knight Rider, so I have to say Pontiac Trans-Am although luckily I came to my senses later on. What do you prefer, Mustamakkara (Finnish traditional meal) or Belgian chocolate? When you were a kid, which job were you dreaming to do? I started racing when I was 4 and since then I wanted to be a race driver but being a rock star was also high on the list. What is your favorite activity when you don’t drive a racing car? I enjoy doing all kinds of sports which is also important to being fit for the races. While living in Belgium I mostly go biking, running, climbing and to the gym. Back in Finland I used to play ice-hockey, football, badminton and tennis but they’ve kind of dropped out recently. I really like winter sports, as well. We’ve got a small hunting cabin in the middle of nowhere in the north of Finland and I try to go there as often as I can, because it’s the best place on earth to relax. Which suggestions would you make to improve the attractivity of the show for fans at Spa 24 hours, that is the main event of Blancpain Endurance Series? Same as the BES championship in general, we need more promotion and better TV. The product is excellent, the sportive level is real high, the entry lists are full – now we need to get the bigger public interested in it, because both Spa and BES deserve more attention. Personally, I think that focusing on brands of cars is nice, because there are so many cool cars, but in the end all series that are known world-wide have drivers or teams as the point of focus, not the cars. What do you think about the idea to organize a book signing for fans outside of the Paddock area? Good idea. I’m always happy to do this stuff for the fans, because it’s an honour to have people come to see us racing. We should do it more. Perhaps we could make a trip or two to the States to see how it is done there and learn from it. Before is also after and after is before, so always is good. The question I hate is « Would you like to dance ». No, I wouldn’t. I can’t and look ridiculous if I try. The question you want to ask me? Where do you come up with all these questions? > Excellent question, I guess we are trying to discover who you are to allow readers to know you better. This is a great meeting, a quick-witted man, to some distributed and has an undeniable humor and joviality. And especially a pilot demonstrated ability, imbued with the spirit of team necessary to a successful career in endurance. faithful and honest, educator, and with specific and interesting ideas for improving the sport and spectacle. No doubt we will seek his informed opinion on many occasions in the future.